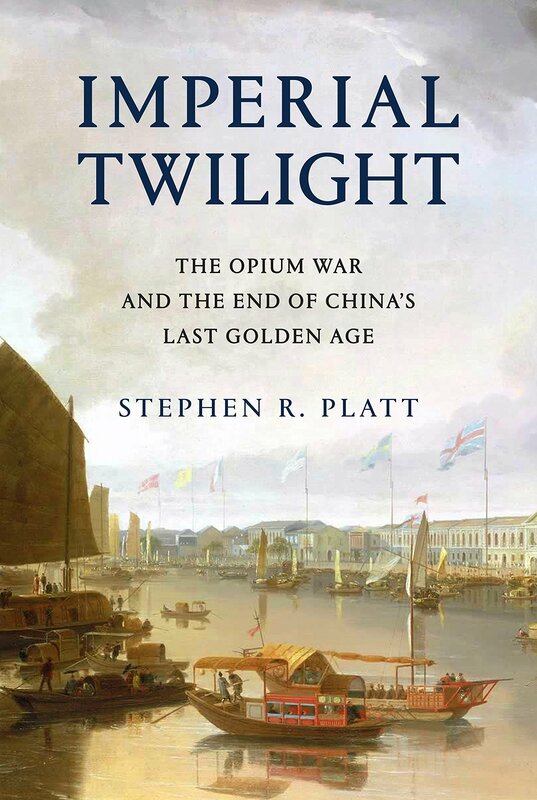 IMPERIAL TWILIGHT: THE OPIUM WAR AND THE END OF CHINA’S LAST GOLDEN AGE by Stephen R. Platt. Published by Alfred A. Knopf. Published May 15, 2018. By the end of the eighteenth century there were two great trading powers in the world – China and Great Britain. The demand in Europe for Chinese goods, primarily silk, porcelain and tea, created a huge trade imbalance between the two aforementioned countries. Great Britain wanted to establish greater trade with China so, on several occasions, British officials made efforts to establish an embassy. The Chinese firmly declined these overtures. The Emperor, in essence, said that we don’t need your goods to survive. You need ours more. We’ll do just fine on our own. Deal with it. And that’s just what Britain did, in her own way. Chinese trade with Great Britain was confined to the port city of Canton. In this port city, foreign countries were allowed to establish “factories,” where employees were tasked with organizing all that was necessary. And so it was that the British East India Company began importing, and auctioning, tons of opium grown in India into China. The opium was auctioned and paid for in silver, and this grew the British trade operations in Asia, while simultaneously decimating the Chinese economy and greatly increasing the number of addicts in China. By 1839 the Emperor had had enough. Proposals to legalize and tax opium were set aside, the port at Canton was blockaded against foreign traders, and nearly three million pounds of opium were confiscated by Chinese authorities. It must be remembered that the Royal Navy ruled the waves. Its massive ships, some mounting 100 guns or more, were both feared and respected by the world, thus leading to the old adage that “the sun never sets on the British Empire.” These ships can be viewed as the equivalent of today’s aircraft carriers. Chinese war junks were no match for ships of the line. By 1842 the Royal Navy had hammered the Qing Dynasty into submission. The Treaty of Nanking gave Hong Kong to the British and opened five ports to foreign trade. Although there would be a Second Opium War in the 1850s, it was this first war that led to the collapse of the Qing Dynasty and much internal strife within China. Stephen Platt has written a book that is packed full of details about the issues which led to the war. He introduces us to the hundreds of characters, on all sides, who played a role (be it great or small) that led to failed diplomacy and a literal trade war. 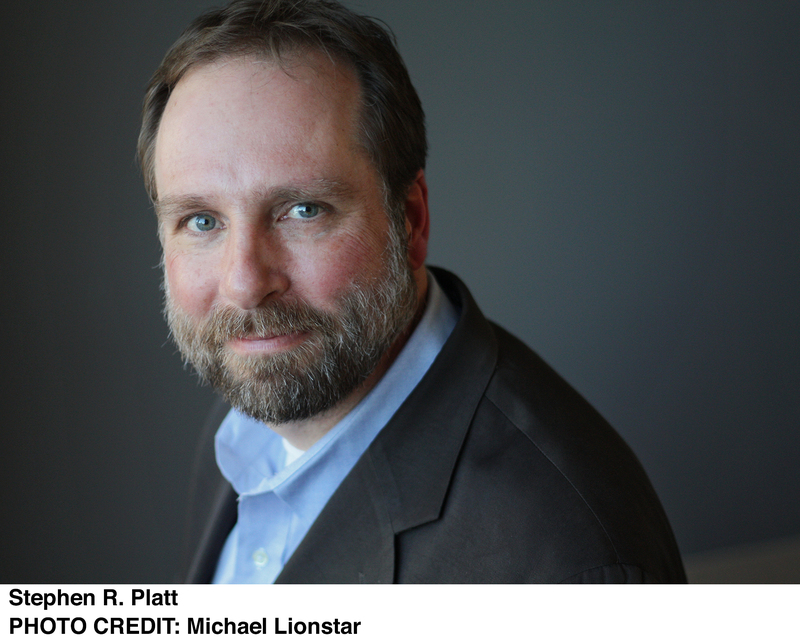 Platt also reminds us that, in the end, all empires will fail, and new empire builders will rise like a phoenix out of the ashes of the past. The sun has set n the British Empire, the Soviet Empire, even the American Empire. Even so, we see an old empire that has risen again. China is extending its influence throughout Asia and into the African continent and Europe. We can only hope that history isn’t made to repeat itself. Please note, all photographs and other content of this website is copyrighted material and may not be used without the written permission of Sean Derrick at Midwest Rewind. Check back soon for cool content in the Way Back section. Follow us so you don't miss any new features.